A cream designed for those with sensitive skin and/or Rosacea. Contains hydrating agents and powerful anti-irritants to help reduce the appearance of redness and itching sensations, to improve skin softness and comfort upon application. Redness, irritation, flaking, broken capillaries. Inhibits inflammatory pigmentation, soothes sensitive and irritated skin and inhibits inflammatory mediators. Rich in linoleic acid, unique phytosterols and essential fatty acids, it helps regenerate the epidermal permeability barrier, reducing transepidermal water loss. Also contains anti-inflammatory properties. Working through the NHE1 receptor it helps internally control skin pH, improves cohesion between cells, repairs integrity of epidermis and reduces skin sensitivity. Rich in powerful anti-inflammatory compounds called pseudopterosins which inhibit the arachidonic acid cascade. Sensory relief, calming reactive skin types and hyperactive nerves to give immediate relief from burning, stinging and tingling. Also strengthens protection and reduces further irritation. Wound healing, stimulates fibroblast growth, reduces inflammation and increases collagen synthesis. Rich in phenylpropanoids (i.e. forsythoside B and verbacoside) which are defensive molecules that protect the skin against oxidants and activate the skin’s self-defense systems. Down regulates PAR-2 thus reducing discomfort of pain and itching occurring in sensitive skin. Restores damaged barrier integrity, increasing hydration, reduces scaling, smoothing and softness in very dry skin. 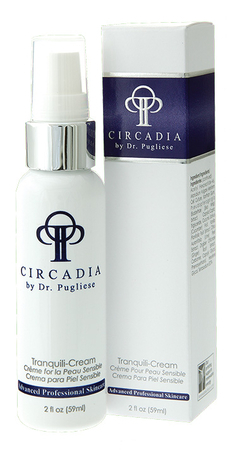 Morning and evening, after cleansing, misting and applying appropriate serum, apply gently to face and neck. Avoid getting product into eyes. May be used with Rose-Ease Relief Cream.